I’m extremely excited to announce that Audrey and I will be hosting a weekly series of Twitter Parties to celebrate the long awaited new movie My Big Fat Greek Wedding 2 throughout the next (3) Wednesdays – March 9th, 16th and 23rd! 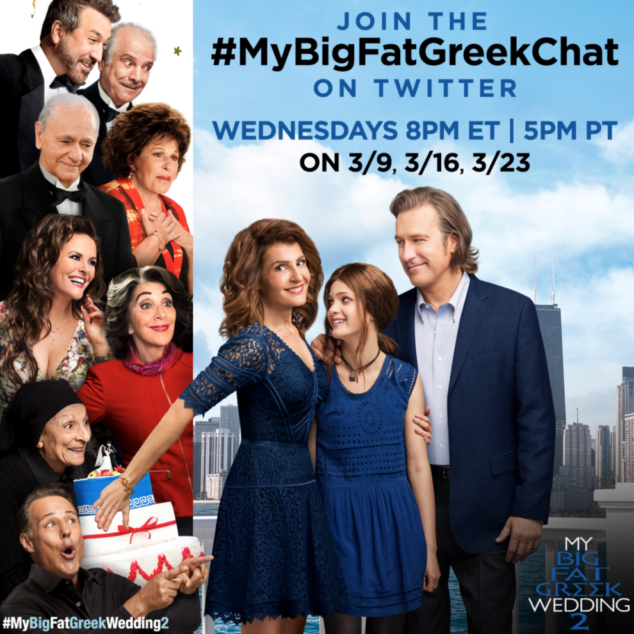 Oh, yes… the #MyBigFatGreekChat fun will continue for 3 weeks with us. How cool, right!!?? If you were a fan of My Big Fat Greek Wedding, you’re going to LOVE My Big Fat Greek Wedding 2! The film hits theaters on Friday, March 25th, so make sure you mark your calendar now and round up your family for a fun night at the movies. As for the Twitter party, each week we will have some fun and chat about different topics. Our first party on Wednesday night will be about big, crazy families and the one member we all have without a filter!! We have INCREDIBLE prizes to giveaway during this 3-part Twitter series, so you’re not going to want to miss! Also, we’re doing it a little different throughout the month… our parties will be 30-minutes. So get ready for 30 minutes of laughter and awesome conversation! 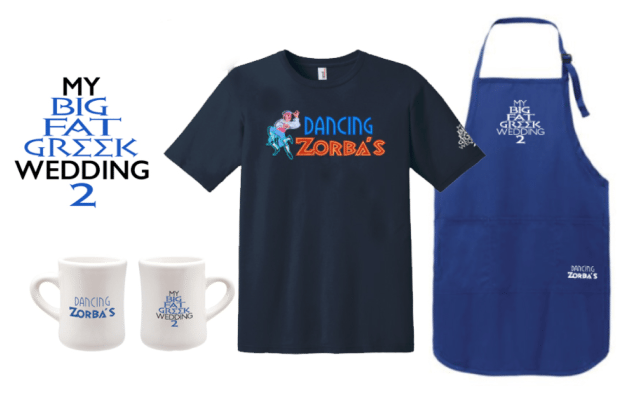 During each 30-minute chat, we will have six (6) My Big Fat Greek Wedding 2 prize packs to giveaway PLUS an amazing GRAND prize of a $500 gift card. This week we’re giving away a $500 Visa gift card to take your whole big, crazy family to dinner and a movie when MY BIG FAT GREEK WEDDING 2 hits theaters on March 25. Disclosure: This is a sponsored Twitter Party. Previous Post: « It’s National School Breakfast Week, so Wake Up to School Breakfast!